Half modern romance and half psychological portrait, McDermott’s A Bigamist’s Daughter explores the limitations and failed promises of the feminist movement and the weight of childhood baggage through eye-catching subject matter: bigamy and the inner workings of a vanity press. McDermott’s choice of topics is daring—particularly for a debut novel—but her heartfelt and intimate treatment of them saves it from gaudy edginess for edginess’ sake. Starring a female protagonist who is at once tough and vulnerable, idiosyncratic and representative, A Bigamist’s Daughter deals artfully in contradictions—and it is through contradiction and illusion that McDermott gets at the truth. The titular bigamist’s daughter is Elizabeth Connelly. At first glance, Elizabeth seems have it all—she is an attractive twenty-something woman with the prestigious title of editor in chief and her own apartment in New York City. Her success and happiness, however, are as illusory as the disingenuous buying and selling of dreams that goes on at Vista, the vanity press she works for. Soon after being hired by Vista, Elizabeth discovers that the only talent required of her is the only one she learned in college: “how to look as if you’re listening and sound as if you’ve done all the reading.” She grows cynical and bored with her work but maintains the façade of a polished in-charge professional woman. When a young Southerner, Tupper Daniels, presents her with a novel about a bigamist, the two begin an affair and this façade starts to crack, revealing vulnerabilities and a troubled past. As Tupper simultaneously seeks Elizabeth’s help on how to end his novel and gets to know her better as a lover, Elizabeth’s own oft absent father is revealed as a possible bigamist and we see the impact her unconventional upbringing has had on her attitude towards men, life, and love. Where McDermott truly dazzles is in her nuanced—and often unexpected—treatment of controversial topics. Through the character of Elizabeth, she shows the limitations of the feminist movement. Elizabeth is confident and self-assured in the professional world but her professional success is illusory and her love life haphazard and unfulfilling. She is liberated, free to sleep with whomever she wants, yet constrained by the way her oft absent, possibly bigamist father has shaped her expectations for love: she longs for romantic stability but is repeatedly drawn to unfaithful, bigamous men. McDermott’s description on what feminism has accomplished is particularly fascinating. As Elizabeth muses “A little feminism… merely makes you suspicious. Makes you kick at all those pretty pink rocks of romanticism, exposing their wormy undersides, but doesn’t make you lift them up and toss them out completely. Doesn’t keep you from pity and hope and seeing his side of it. From those old longings for husband, beloved husband buried forever at your side.” Here we see how problematic feminism can be when it exposes problems without resolving them. It creates the feeling of a movement stopped midway, a dream deferred. Despite all the strides the feminist movement has made for women politically and professionally, matters of the heart remain unresolved and more complicated than ever. 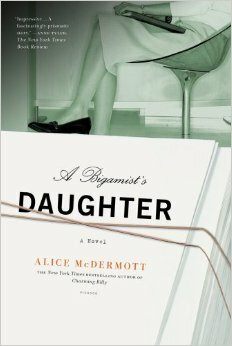 Most provocative and unexpected is McDermott’s characterization of the bigamist. Through Tupper Daniels, McDermott turns the conventional view of bigamy as immoral and villainous on its head. In Tupper’s eyes, the bigamist is an intransigent romantic, a hero even. “Think about what it implies,” he implores Elizabeth, “[a bigamist is] not a man who has affairs… but a man who loves and marries. A man who is, ironically, incapable of having an affair. A man who must always, always sanctify his love with marriage, who must establish a home for himself and any woman he loves and then must return to that home whenever he can. A man of great nobility, I think. A truly romantic, heroic character.” He provides a fascinating counterpoint to the scandal and infamy usually associated with bigamy, one that fascinates Elizabeth even as she struggles to see the heroism in a man who, like her father did, leads a second life in secrecy. Confessional and provocative yet unsentimental, A Bigamist’s Daughter paints a compelling portrait of modern romance. As different as our lives may be from Elizabeth’s, her struggles and sorrows quickly become ours as McDermott wields her uncanny talent for making the ordinary extraordinary and the extraordinary relatable. 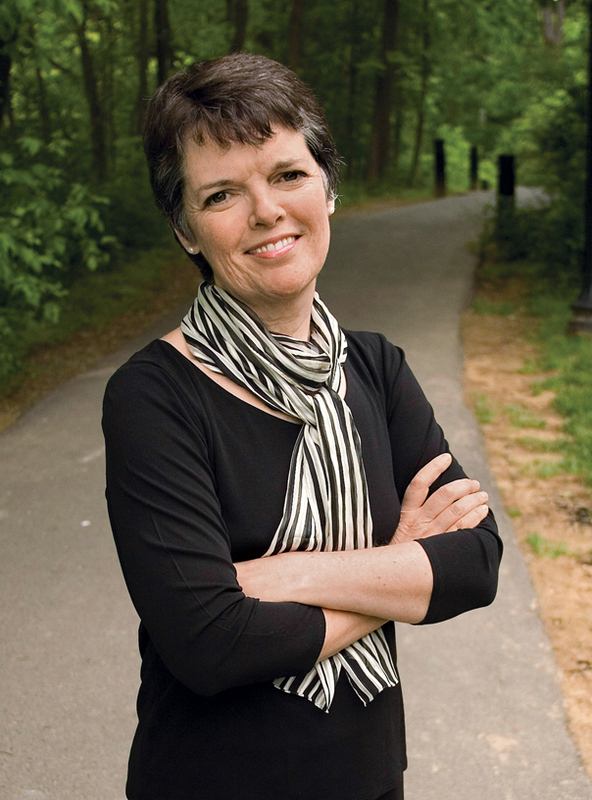 Alice McDermott is the author of the National Book Award Winner Charming Billy as well as That Night and At Weddings and Wakes, a New York Times bestseller. She lives with her family outside Washington, DC. A Bigamist’s Daughter is her first novel.